Arruda will demonstrate a live performance technique he has developed to allow for seamless mixes in Live between tracks with varying tempos. 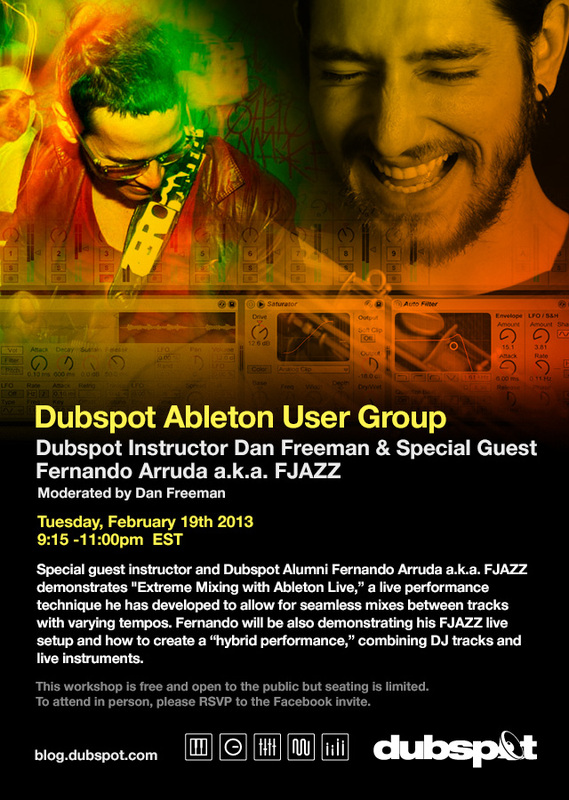 He will also demo his FJAZZ live setup and explain how to create a “hybrid performance” combining DJ tracks and live instruments. If you’d like to attend, please RSVP at our Facebook Event Page.